Ushering in Mid- Autumn Festive with Mooncakes and Dim Sums! This Mid-Autumn Festive, Dorsett Grand Subang’s The Emperor Chinese Restaurant brings a ‘Reflection of Timeless Heritage’ to everyone with its array of Mooncake and a list of new Dim Sum menu prepared by Chef Loh Jiunn Voon and the culinary team. The Emperor Chinese Restaurant specialized in Cantonese cuisine crafted with exquisite fine flavours. 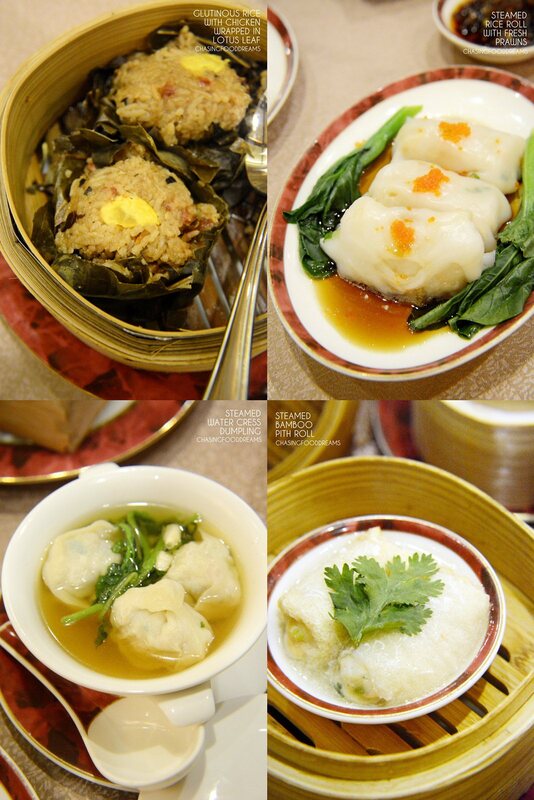 Famed for their dim sum menu, one can only expect exquisite and scrumptious dim sum hand crafted by the dim sum chef. This festive season, The Emperor presents 11 flavours of Traditional Baked and Snow Skin Mooncake available for purchase at the restaurant and hotel lobby. One can also purchase the mooncakes from its stall at Plaza Damas and Cheras Sentral. Members of the media and bloggers are treated to a preview of the 11 flavour of mooncakes and the new dim sum menu in addition to their classics. 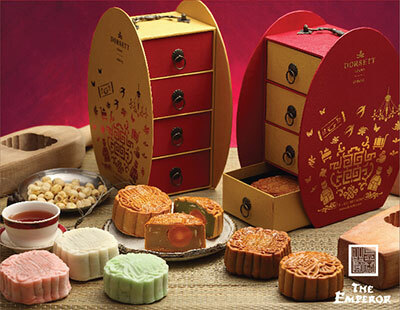 There are 8 Traditional Baked Mooncakes ranging from price RM21.00 per piece to RM22.00 per piece. 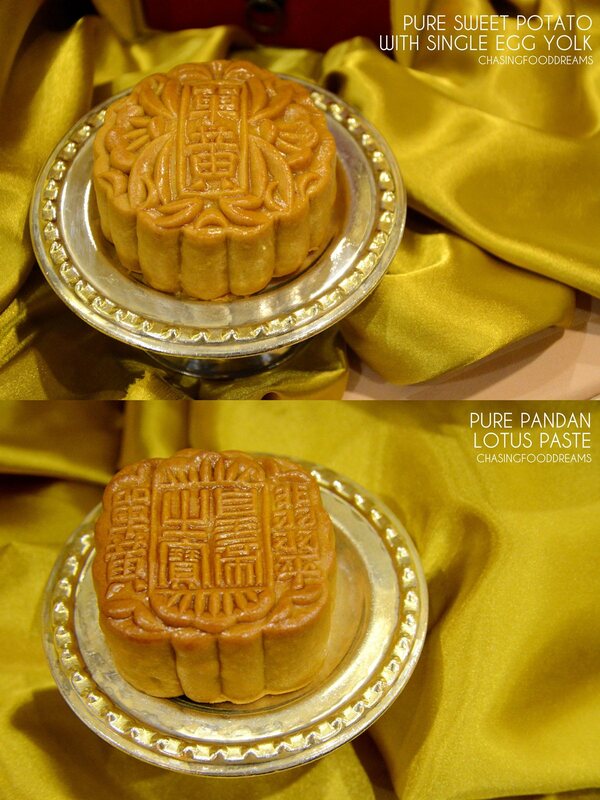 Flavours available this year are White Lotus Paste with Double Egg Yolk, Low Sugar White Lotus Paste with Single Egg Yolk, Low Sugar Pure White Lotus Paste, Pandan Lotus Paste with Egg Yolk, Green Tea Lotus Paste with Single Egg Yolk, Pure Sweet Potato with Single Egg Yolk and Pure Red Bean Paste. There is a special focus on low sugar as many these days are health conscious but still wishes to enjoy a taste of mooncakes. The Emperor focuses on traditional classic flavours. Every mooncake is handcrafted with a personal touch. I was particularly fond of the Pandan Lotus Paste with Yolk and Pure Sweet Potato with Single Egg Yolk for its gorgeous flavours of pandan and sweet potato. They are beautifully aromatic and not overly sweet. There are 3 Snow Skin Mooncakes ranging from price RM17.00 per piece to RM 21.00 per piece. Flavours include Snow Skin Red Bean Paste, Snow Skin Pandan Lotus Paste with Egg Yolk and Snow Skin Pure Sweet Potato with Single Egg Yolk. 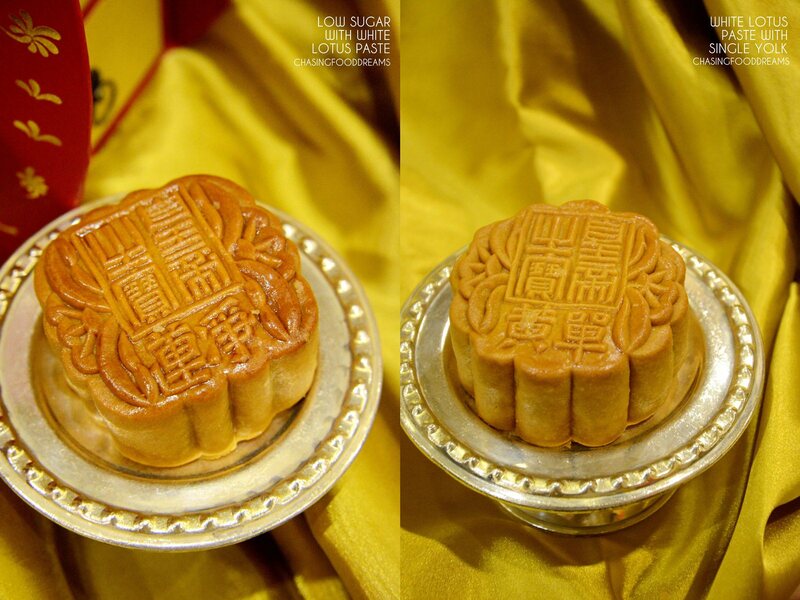 The snow skin mooncakes are very delectable with its soft snow skin and scrumptious creamy fillings. 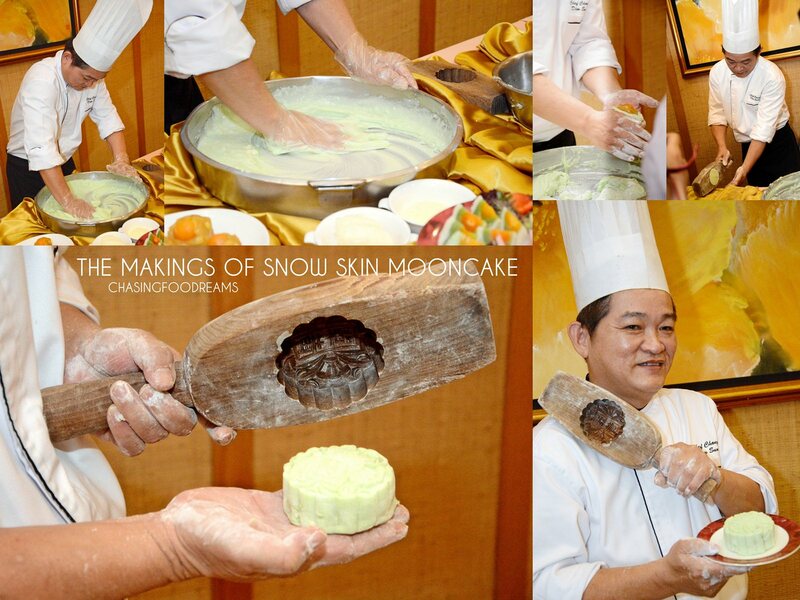 We were treated to The Makings of Snow Skin Mooncake by Chef Chong. No matter how many times I have watched the makings of mooncakes, I am still very fascinated at how much effort goes into making it. 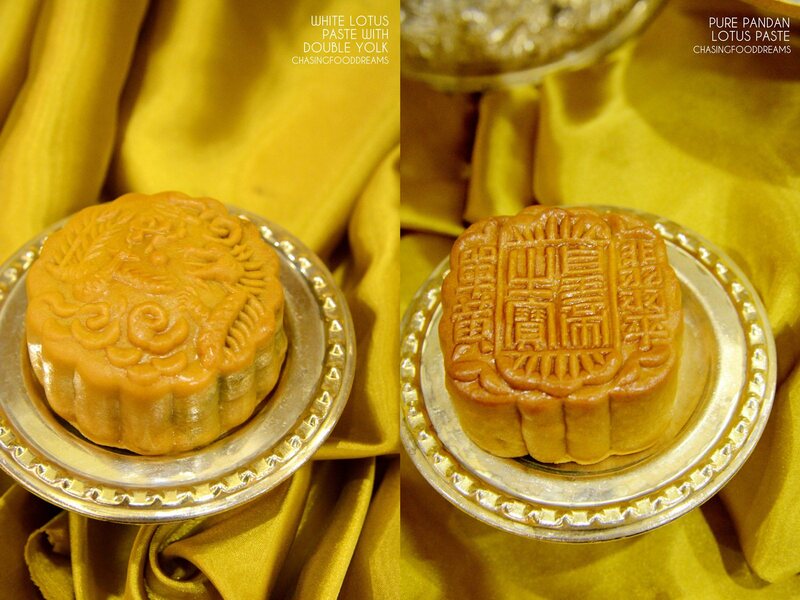 The Emperor mooncakes are available from July 27 to September 19, 2014 at Dorsett Grand Subang. The mooncakes are also available at Plaza Damas from August 7 to September 19, 2014 from 12pm to 8pm and from August 1 to September 9, 2014 at Cheras Sentral from 2pm to 9pm (weekdays) and 12pm to 9pm (weekends). Next up, new dim sum menu filled with a luscious array of handcrafted fine dumplings, pastries and baos to tempt your heart and taste! The dim sums are filled with traditional flavours injected with little modern touches. Our spread that day is very satisfying and delicious in every bite. Dumplings are certainly my best snacks and showcased here plump Steamed Siew Mai Emperor Style, Steamed Prawn Dumpling with Coriander, Steamed Bamboo Pith Roll, Steamed Vegetarian Shark’s Fin Dumplings, Steamed Prawns Dumpling with Chili Oil in King Soya Sauce, Steamed Water Cress Dumplings and Steamed Beef Ball with Water Chestnut. Each one has its own deliciousness in flavours and textures. 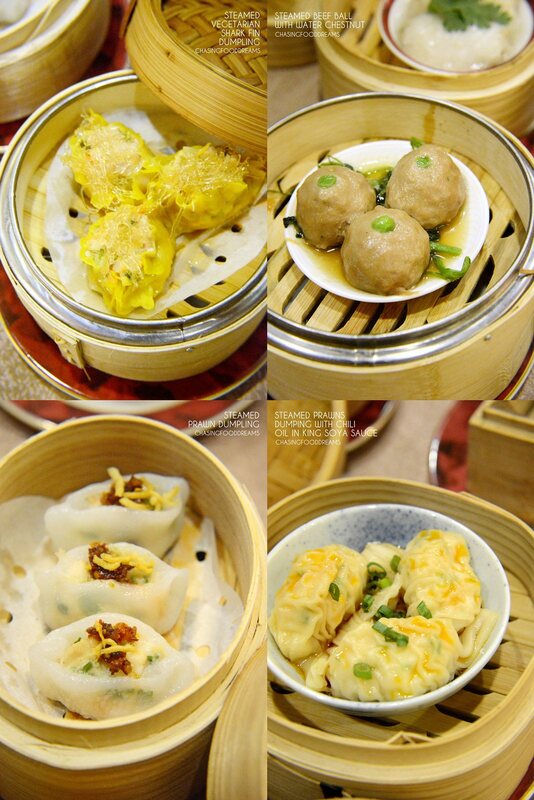 Served piping hot, the steamed dumplings are a real treat and make a great impression with everyone at our table. Steamed Rice Rolls with Fresh Prawns and Chive Filling is pretty yum! Besides this, there are two other varieties of Steamed Rice Rolls with Fresh Scallop Filling and Steamed Rice Rolls with Barbequed Chicken Filling. Porridge section offers Fresh Scallop Porridge, Fish Fillet Porridge and Chicken Porridge with Century Egg. 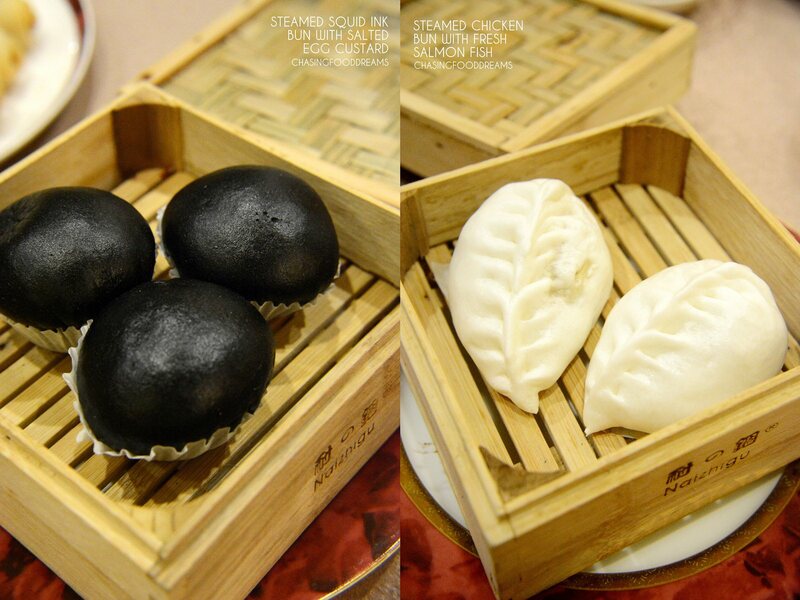 We also enjoyed Steamed Chicken Bun with Fresh Salmon Fish, Steamed Glutinous Rice with Chicken Wrapped in Lotus Leaf and Steamed Squid Ink Bun with Salted Egg Custard. The unique pairing of chicken and salmon in the Steamed Chicken Bun with Fresh Salmon Fish is gorgeous as the salmon is beautifully moist and flaky together with the chicken. We can’t it loving the Steamed Squid Ink Bun with Salted Egg Custard the moment we break open the hot bao as a creamy savory salted yolk custard dribbles out like golden luscious lava. 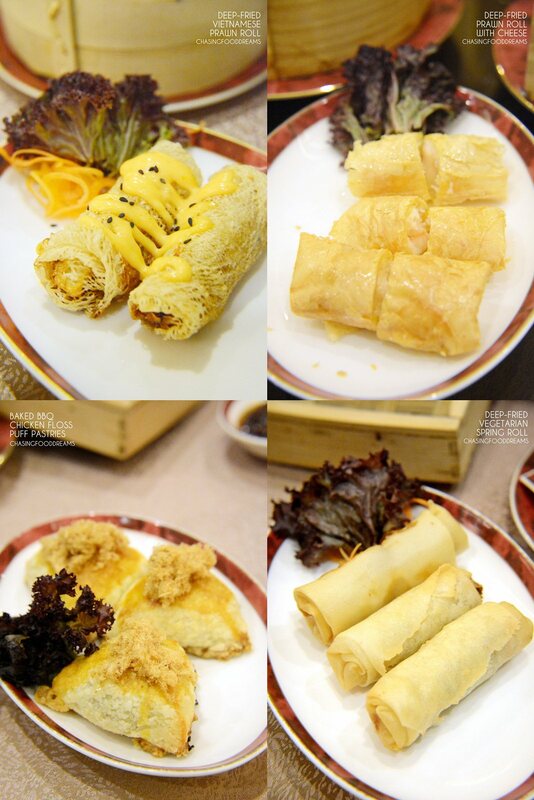 Going to the deep-fried section, there are Pan-Fried Shanghai Dumplings, Deep-Fried Prawn Roll with Cheese, Deep-Fried Prawn Dumpling with Salad, Deep-Fried Yam Dumpling, Deep-Fried Vegetarian Spring Roll, Deep-Fried Vietnamese Prawn Roll and Deep-Fried Sesame Ball with Peanut Paste. There are also Baked BBQ Chicken Floss Puff Pastries and Baked Mini Egg Tart Custard. My favorites were the Deep-Fried Prawn Roll with Cheese, Deep-Fried Vietnamese Prawn Roll and Deep-Fried Sesame Ball with Peanut Paste. I love how one gets the full juicy big bites that thoroughly satiate one’s appetite for dim sum. 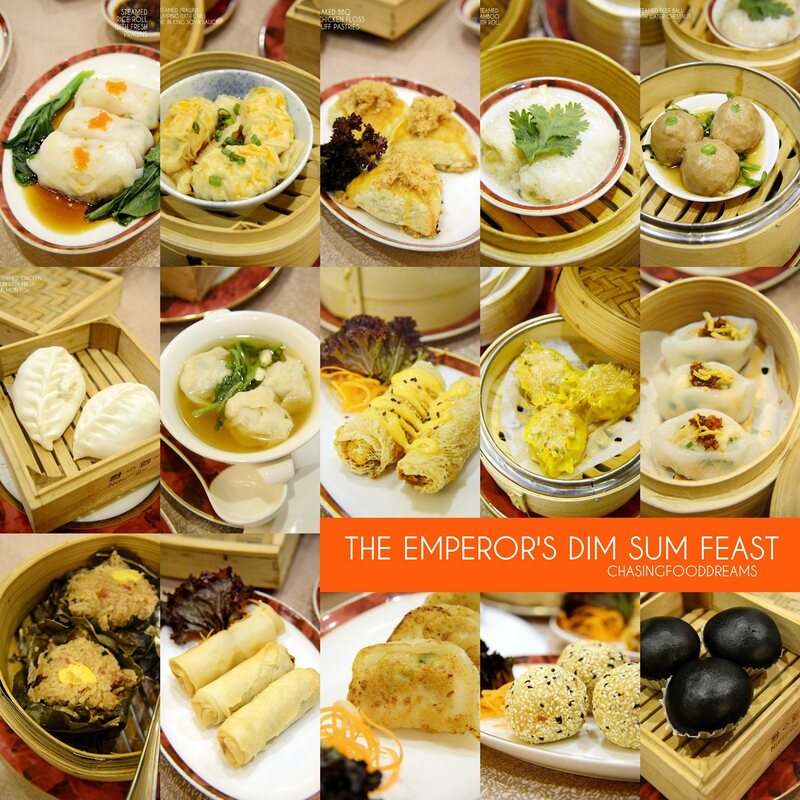 The Emperor’s Dim Sum is available from Tuesday to Saturday from 12pm to 2.30pm. The Family Dim Sum Brunch is available during Sundays and also Public Holidays from 10am to 2.30pm which is priced at RM65++ per adult while children below 12 years old and Senior Citizens above 60 can enjoy 50% off. For enquiries or reservation, please call +603 5031 6060 ext 1954.